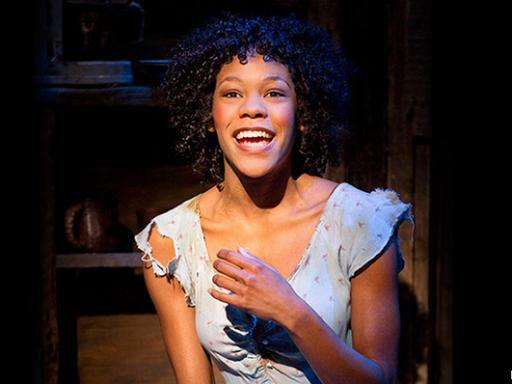 comment The New York Times calls it "the best musical of the century." 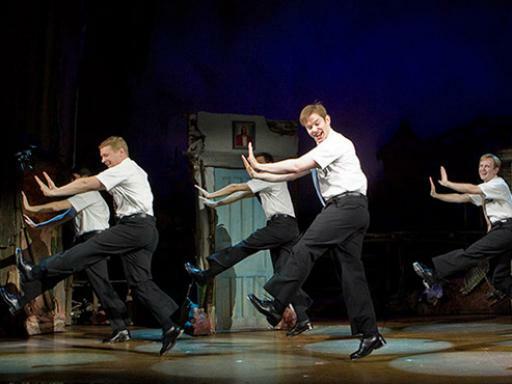 One of the the funniest musicals of all time! 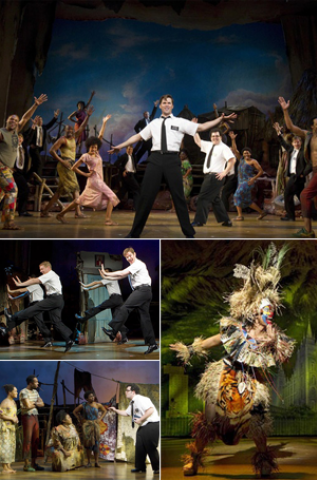 Without a doubt one of the most popular Broadway shows, The Book of Mormon is considered one of the funniest musicals of all time. 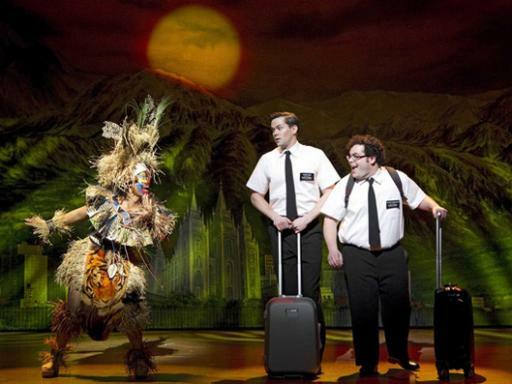 A bold religious satire musical that follows a pair of missionaries who are sent across the world to share their faith; this Broadway show invites you along for the journey. 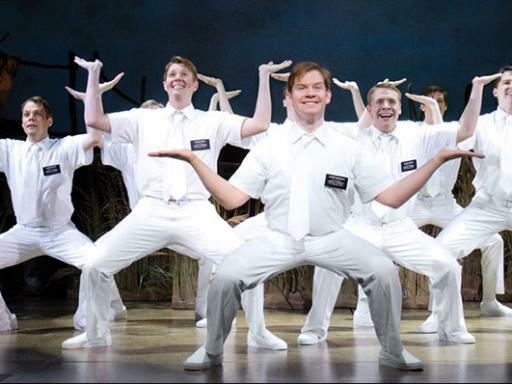 Celebrated by The New York Times as “the best musical of this century”, this highly acclaimed production boasts an award-winning creative team made up of Trey Parker and Matt Stone (the masterminds behind South Park) and Robert Lopez (the Oscar-winning composer known for creating smash hit music for Disney’s Frozen). The talented trio worked together to create the book, music and lyrics for the show. 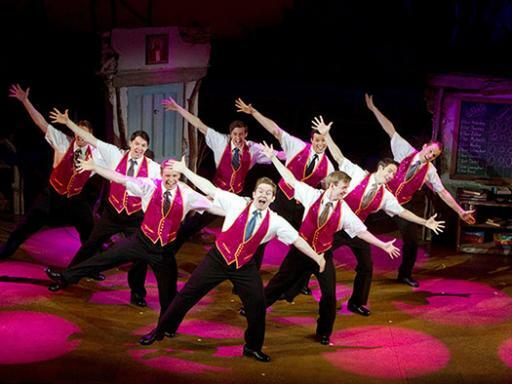 Featuring a score of hits, listen to the cast belt out powerful songs ‘I Believe’, ‘Hello’ and ‘You and Me (But Mostly Me)’ set to comical choreography. Filled with hysterical jokes and witty one liners, indulge in an evening of light-hearted comedy at the funniest show in New York City. Over the years, this fantastic Broadway show has been recognised for its brilliance, earning an incredible 9 Tony awards including ‘Best Musical’ and ‘Best Original Score’, as well as a Grammy award for ‘Best Musical Theatre Album’. 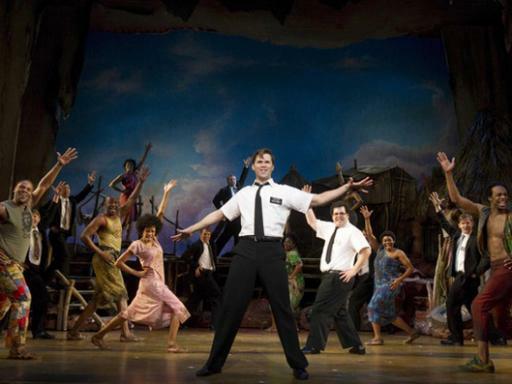 A hilarious Broadway show that will keep you laughing the whole way through and leave you wanting more; The Book of Mormon is simply unmissable. 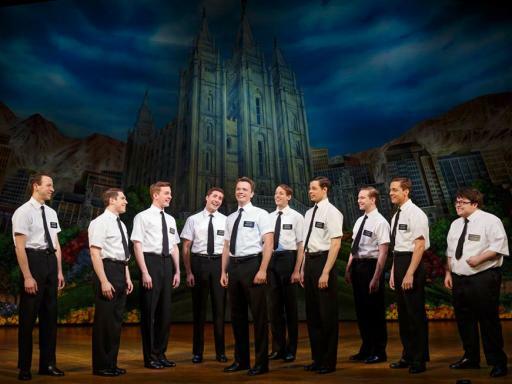 Meet Elder Price and Elder Cunningham, an excitable duo on a mission. Price is enthusiastic, passionate and dedicated to his faith, while Cunningham’s well-meaning nature is overshadowed by his inclination to fabricate the truth and his socially awkward, geeky persona. 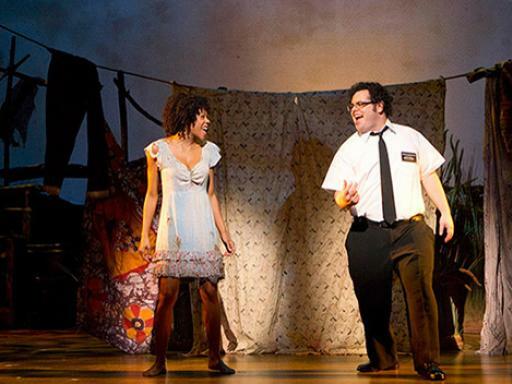 When the two missionaries are put together, it’s clear that the mismatched pair couldn’t be more different. Sent to Uganda in an attempt to convert people to the Mormon religion, they are both certain that they will come back triumphant. However, when they arrive in Africa and find themselves in the middle of a society that’s plagued with AIDS, violence and poverty, they realise things might not be as simple as they seemed. 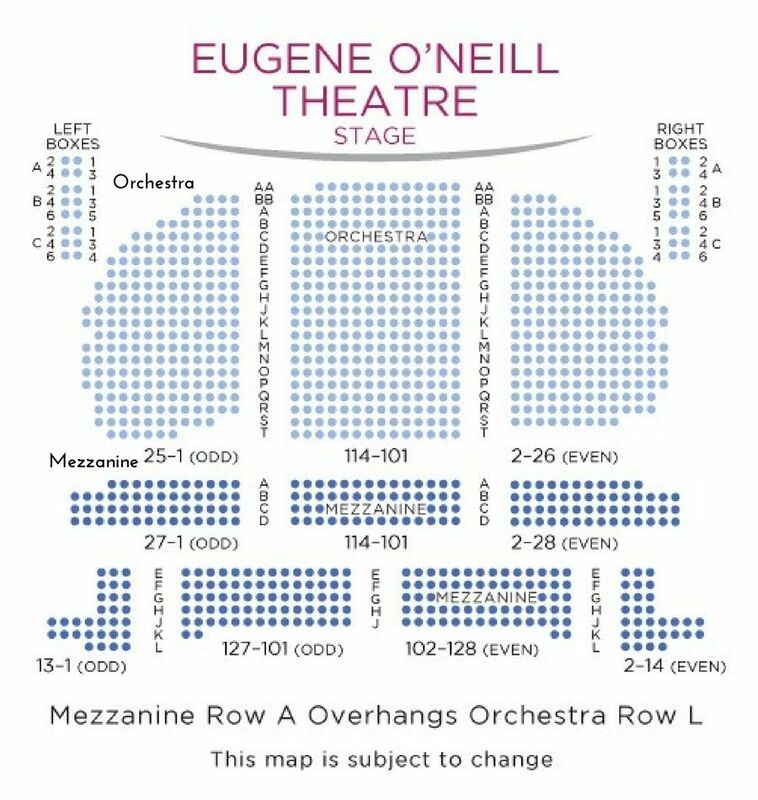 Seats are guaranteed in the either the Orchestra A-T or Mezzanine E-L section sections of the theatre depending on the option selected. From 30th January onwards, seats will be located in either the Orchestra Prime/Mezzanine Prime or Orchestra P-T/Mezzanine A-D sections. Seats are allocated by the box office at the time of booking on a best available seat basis. Book early for the best seats! Duration: Approximately 2.5 hours with one interval. Simply procedure, but it was the luck of the draw which seats we actually ended up with. Thankfully we were lucky. Excellent show you will leave laughing. The cast were brilliant. Although Attractions do not allocate the seats the allocation by the theatre gave us excellent seats. Absolutely brilliant musical! Loved it. Excellent show, highly entertaining and front row seats as well. 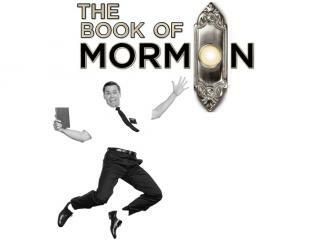 Our The Book of Mormon Broadway tickets are guaranteed in the section of the theatre depending on the option chosen. 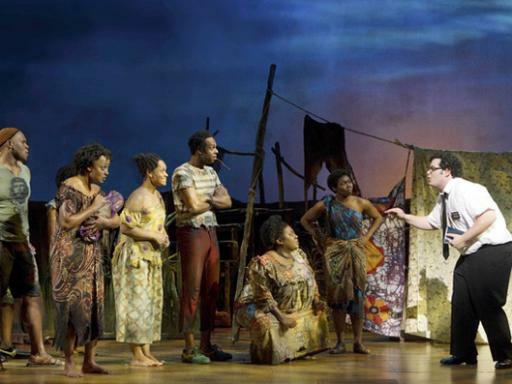 The Book of Mormon Broadway tickets is not recommended for children. No, you will receive a voucher in the post confirming your reservation, the performance time, the theatre location, plus all other important details relating to your New York theatre booking. Your tickets will be available at the theatre box office from one hour prior to the start of the performance. This ensures that the tickets do not go missing in the post and you do not have the worry of misplacing the tickets on receipt. Is the Book of Morman okay for children? 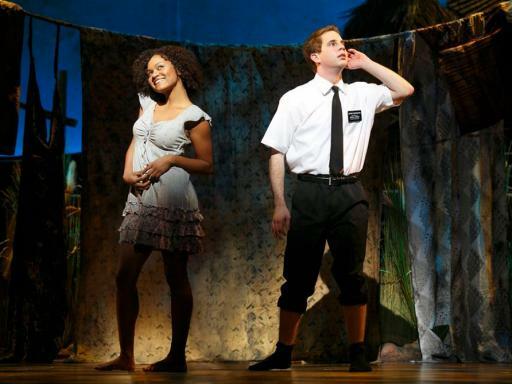 The Book of Mormon is not for children. This musical comedy plays fast and loose with profanity, violence and graphic sexual situations. While the show offers adults a fun night out, it could lead to uncomfortable conversations if you decide to bring your child along.